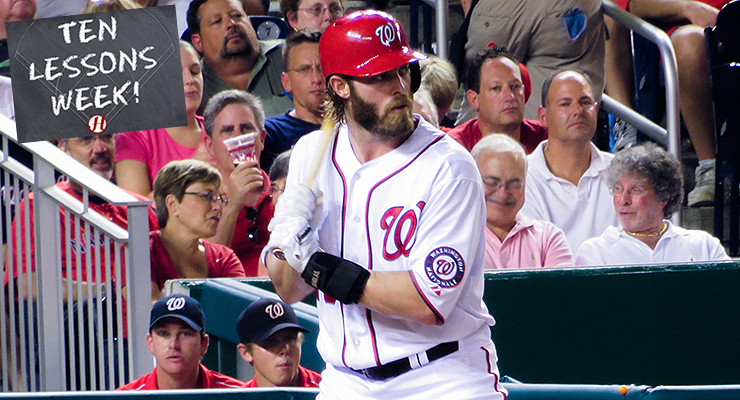 Jayson Werth’s contract initially raised eyebrows, but it no longer seems outlandish (via Matthew Straubmuller & Howell Media Solutions). Editor’s Note: This is the fifth post of “10 Lessons Week!” For more info, click here. All week, The Hardball Times has featured commentary from experts in their field about things they’ve learned on their way to becoming experts in those areas. I’ve been asked to conclude the series by writing about baseball’s economy, but before we dive in the things I’ve learned, let’s make it clear that I am decidedly not an expert economist. I’m a guy with an undergraduate degree in economics from a small state school — UNC-Greensboro, whose major league alums include Brian Moehler and Danny Valencia, and no others — who has an interest in markets and the the baseball economy in particular. I’ve written a lot about contracts the financial side of baseball, I consider myself more of an interested observer than any kind of expert in the field. Consider these the lessons the baseball market has taught us all over the last few years. This isn’t news to anyone who has been paying attention for the last few years, but MLB’s financial trajectory has been pointed upwards for decades now, and the rate of revenue gains has only been increasing of late. As Forbes’ Maury Brown has recorded, league-wide revenues were approximately $2 billion in 1995; they are expected to top $9 billion this year. Based on U.S. inflation rates over the last 20 years, $2 billion in 1995 dollars is equivalent to $3.1 billion in 2014 dollars, so MLB is on course to outpace inflation by about 300 percent over a two-decade time period. There have been plenty of questionable decisions made during Bud Selig’s tenure as commissioner, and some of the revenue gains would have occurred regardless of who was in power during this time, but as the guy in charge of helping MLB grow, Bud Selig has to go down as one of the most successful commissioners in the history of sports. I don’t agree with everything he’s done while he’s been in office, but there’s no getting around the fact that he took over a sport with some legitimate financial concerns, was in charge during the dot-com crash and The Great Recession, and has still managed to turn the league into a financial behemoth. While the league’s revenue gains are good news for the people who own the 30 franchises and their heirs, it isn’t so obviously great news for the rest of us. After all, it’s not like the owners are replacing bobblehead giveaways with free college tuition for the first 20,000 through the gates, and record profits don’t incentivize franchises to lower the costs of attending games. So, why should we celebrate the league’s ability to build one of Scrooge McDuck’s money bins for owners to swim in? Because centralized league revenues — revenues generated through national TV deals with ESPN, Fox and TBS, and direct income from MLB Advanced Media’s creation of MLB.tv and the At Bat app — level the playing field in a way that salary caps and spending limits never could. While the last few years have seen a large focus on the explosion of local television rights deals, the best path to parity is not to try to stop rich teams from spending what they make, but to shift revenues from a local model to a centralized model. As long as the Yankees make hundreds of millions of dollars per year, they’re going to find ways to reinvest a large percentage of that back into the team’s success, regardless of whether there’s a luxury tax, salary cap, or any other kind of spending restriction. There will always be ways in which teams can generate a competitive advantage by spending money, and limiting spending on major league players or amateur acquisitions just incentivizes teams to find new ways to buy advantages. But if the money comes into the league first, and then is distributed to the individual teams, MLB can control resource disparity and promote competitive balance. The rapid rise in television rights from the recently re-signed deals with the national networks pumped an addition $750 million per year into the league’s coffers, and the money distributed to the teams was not based on market size. Market agnostic revenue growth shrinks the gap between the haves and have nots by disproportionately helping the have nots, and with MLB.tv and MLB At Bat, the league now has infrastructure in place that could generate even more centralized revenue going forward. And that is the kind of future that fans in places like Kansas City and Tampa Bay should get excited about. In the wake of the news about the additional $750 million that baseball was going to be receiving from its national television rights deals, fans and media started to speculate on how their team would spend the additional $25 million it would be receiving from that increase, and many were disappointed when their team didn’t immediately invest an extra $25 million in its 2013 or 2014 payroll. But teams do not spend 100 percent of their revenues on player payroll, and player salaries have not kept pace with revenue gains as of late. Of the projected $9 billion in 2014 major league revenues, teams are going to spend between $3.5 billion and $4.0 billion on player expenditures this season, depending on whether you focus on the 25- or 40-man rosters and account for the reserves teams pay toward player benefits. At the proportion of major league spending that goes to player payroll, the extra $25 million should have been expected to be more like $10 million per team. And the same holds for local television rights deals; if your favorite team has just signed a contract that will take its annual television revenues from $20 million to $100 million, that equates to something closer to a $30 to $35 million rise in future payroll, not an $80 million addition. Too often, I’ve been guilty of referring to free agency as baseball’s “market,” as if there were only one. It is the closest thing MLB has to a free market, with buyers and sellers bidding for the best available talent, but it is just one of baseball’s markets. And the prices in one affect how teams make decisions in the others. In reality, I think we can clearly identify a half dozen different markets that operate within MLB, and if you wanted to get really granular, you could probably define a few more. Let’s stick with these six primary markets for now. The two offseason markets run simultaneously, and are the best example of how a front office can substitute from one one market into another depending on price and availability. If free agents begin to price themselves in a way that simply doesn’t line up with their expected future production, demand can shift from free agents to trade acquisitions, and teams can raise their prices in talent required in order to acquire a player already under contract. These two markets are most closely aligned, because it is the point at which nearly every team is actively buying or selling at the same time, and so supply and demand can rise or fall in both markets at the same time. But teams still aren’t simply limited to just those two markets. If a front office is unhappy with the prices or options available in the offseason, it can reallocate the money that would have gone to new player acquisition to players already on the roster, extending long-term offers to buy out future free agent years and secure cost certainty going forward. Or the the team could retain the money for use during the season, when non-contenders will often take a lower cost in talent from a team that is willing to assume the remainder of a large contract. Free agency is the most obvious way to buy talent, but it isn’t the only way, and it isn’t the only market operating in major league baseball. Over at FanGraphs, I’ve written extensively about contract pricing using a model of free agent pricing often referred to as $/WAR, which estimates what teams are paying to buy a win in free agency. There are different ways to model the price of a win, but regardless of what kind of replacement level you use or whether you evaluate a player by expected or actual performance, the model is still essentially limited to free agent pricing. And as we just noted, free agency is not the only place to spend money; it may actually be the worst. The rise of the long-term contract for young players most clearly signifies the differing prices that a team has to pay in different markets, as teams have begun to allocate far more money to players early in their careers because of the discounts that they get in return for guaranteeing a player his first few million in lifetime earnings. By the time a high quality player reaches free agency, he’s been through arbitration three times, and likely has earned enough income that financial security is no longer his primary motivation; instead, contract size becomes a proxy for respect and desirability. However, players who have yet to reach arbitration may still not even be millionaires, especially if they weren’t a high draft selection. Even the best international prospects regularly sign six-figure deals, much of which is retained by a Buscone and others put in claims on a player’s signing bonus; for players who developed after they signed and still have family living in poverty, the incentive to take the first $10, $15, or $20 million in guaranteed money can be overwhelmingly strong. The price of extending pre-arbitration talent is much lower than the price of buying wins in free agency, which is one reason we’re seeing such a move towards these kinds of deals, especially for low revenue clubs who have to maximize return on investment. While we might use $/WAR as a stand-in for the free agent market price in a given offseason, that number does not apply to other markets, and teams do not have to pay that rate in arbitration or when negotiating an extension. Dollars per win is a useful baseline, but most players are earning far less than the market price of a win, because most players are not signing contracts as free agents. In most of the markets operating in major league baseball, prices are set in a fairly rational way. Arbitration, however, is kind of broken, and might need an overhaul in the not-too-distant future. 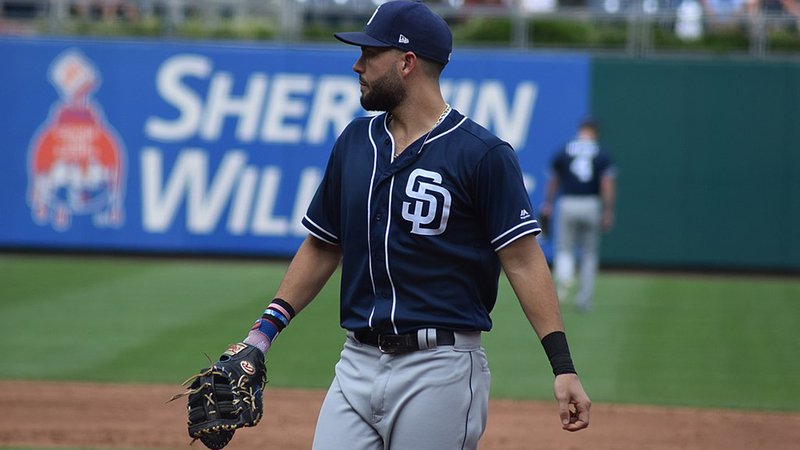 The prices awarded in arbitration often don’t reflect actual on-field value, as the process is based on mostly outdated metrics and arguments that have to be crafted in a way that make sense to a casual baseball observer. As teams move further and further away from traditional metrics in deciding how to value players, arbitration gets further removed from the rest of baseball’s markets. The biggest discrepancy is in the valuation of the closer, where a number of saves can lead to significant arbitration awards even as almost every team realizes now that saves are a terrible way to evaluate a reliever. In fact, one could now argue that teams should keep their best relievers out of the ninth inning in order to hold down their future salaries, and install a placeholder closer to rack up saves, then let him go before he gets paid for those saves in arbitration. Having better relievers pitch in earlier innings might be a positive result from a strategy perspective, but MLB should not want teams deciding when to use relief pitchers based on trying to manipulate the arbitration process. At some point, MLB and the Player’s Association are going to have aligned interests to reform the arbitration process, and come up with a pre-free-agent pay scale that at least looks like the way front offices value players. At this point, perhaps you’ve started to wonder why you should care about any of this. After all, the pace of revenue growth has served to make contracts that looked questionable the time of their signing look like downright bargains right now. For instance, there was widespread astonishment when the Nationals signed Jayson Werth to a $126 million contract, but $15-$20 million per year for an above-average aging outfielder is basically the norm now, as Hunter Pence, Curtis Granderson and Carlos Beltran showed this winter. When inflation is this aggressive, it can outpace aging curves and make long term deals attractive, even for declining players. However, aggressive inflation assumptions should not be used to justify any contract for any player, because these deals still require teams to pay an opportunity cost, and money spent on one player is money that cannot be spent on another. At approximately $6 million per win in free agency, a team would have to spend approximately $240 million to build a contender — nearly every team that makes the postseason accrues at least +40 WAR — entirely out of free agents, or players paid at free agent prices. The Dodgers are the only team spending anywhere near that level. Every other team in baseball has to pay, on aggregate, less than the free agent price for wins. Higher payrolls provide higher margin for error, and in today’s economy, even one bad deal won’t end a team’s chances of winning, but no team can simply declare that payroll efficiency is just for the Moneyball teams that need to worry about such things. Spending money as efficiently as possible isn’t the goal, but it is a very good means to that end, regardless of how much capital a team’s owners are putting toward player payroll. A few years back, before the television rights boom, I wrote some pretty regrettable things about some very long deals for very good players. For instance, when the Brewers extended Ryan Braun’s extension long before it was over, I questioned whether that contract would replace Ryan Howard’s deal as the worst in baseball. That post was in line with my post about Troy Tulowitzki’s similar extension, where I wondered why the Rockies felt the need to buy so many of Tulowitzki’s free agent seasons when he wasn’t close to free agency. Toss in a few years of revenue growth, and Tulowitzki’s deal is one of the most team friendly contracts in baseball, and Braun’s isn’t a problem for the Brewers, even with his 2013 suspension. Contracts become hindrances to a franchise when the team mis-evaluates the player’s worth — as the Phillies did with Howard, or the Giants did with Barry Zito — more often than when a player declines to the point at which his deal stops making sense. Overpaying a great player a few million per year isn’t going to do any real damage to a franchise; paying real money to a guy who simply isn’t that good to begin with is much more likely to hamstring a team going forward. The reality is that — Mike Trout and Evan Longoria aside — great players require huge commitments. If a team wants to keep a franchise player, it’s generally not going to get him at a bargain rate, and trying to save a few million here or there on your best players can be penny wise and pound foolish. The real key is to make sure you identify which players actually are great players, and which ones are likely to be great players going forward. Financial calculations should absolutely be part of a team’s decision making, and every team needs to draw a line at which a signing no longer makes sense, but the far more important calculation is figuring out which players are worth acquiring or retaining in the first place. The move toward younger and younger talent in baseball is clear, as I outlined a few months ago. The low return on big contracts for aging players has led teams toward their current decision to throw money at the extension market in lieu of the free agent market, even preferring to lock up inferior talents through their primes rather than paying for aging former stars. While not every player follows the same aging curve, teams have gotten burned far too often by betting against aging, and are now allocating their resources toward the younger side of the curve. A good player at his peak is often better than the second half of a great player’s career, and major league franchises are moving their money in that direction. Aging isn’t the only reason teams are moving money toward extensions and away from free agents, however. As Matt Swartz documented in The 2012 Hardball Times Annual, free agents who change teams have consistently underperformed their projections relative to players who remain with their organization. Information asymmetry likely leads to a pool of team-switchers who are damaged in some way that the publicly available forecasts don’t capture, and that information leads the original team to value the player below the free agent market price. The under-performance of team-switchers is enough to suggest that a team may be better off re-signing its own player when it’s confident in his +2 WAR abilities than it is betting that the +3 WAR player from another team is actually a +3 WAR player. Not every player who switches teams is broken, of course, and there are players who move around in free agency and continue to perform well, but especially in the age of the long term extension, nearly every player who reaches free agency has been deemed a player that the original team did not want to keep. Instead of being the market for premium talent, free agency is now the market for players with some legitimate baggage. Of course, all of this is subject to change in the next few years. The Collective Bargaining Agreement is set to expire after the 2016 season, and the Player’s Association is unlikely to continue the status quo, given the amount of money pouring into the sport right now. Changes are going to be demanded, and there is some sentiment that the league could be in for a real labor problem. More money, more problems, as someone with far more street cred than I have once said. How the next CBA changes the economy remains to be seen, but that’s the thing about markets; once you think you know something about them, they change. And that’s why I kind of love them. Dave, do you think that the Padres’ signing of Joaquin Benoit for money than the closer he is setting up is a watershed moment in how the market values closers? Fun read. Is it too soon to declare that Cabrera’s extension is worse than Braun, Howard, or Tulowitzki‘s? Great read. Especially point 2. I have long thought that MLB should take 50% of each teams respective local TV money under the premise that you can’t have a game unless two teams play. Once the money is then centrally collected from each team, distribute that pool of money equally to each team. This would go a long way towards equalizing the playing field between the small and big market teams. I don’t think the Dodgers or Angels would be getting such huge local TV contracts if they had to face the Washington Generals each night. Well if you are taking half of their TV money, should you also take half of their gate, parking, concessions, etc? Teams already contribute 34% of their regional media income into MLB’s shared revenue pot, which includes MLBAM income and merchandise sales among other things. No they don’t. The formula is complex, some teams share, some receive, and some do neither. Yankees actually share about 28% for example and many share almost nothing or receive. Also, teams that own their own RSN don’t share the profits these RSN’s generate from their teams games and tend to get sweetheart deals from teams that must share revenues. Yankees and Red Sox have both earned 50+ million in RSN profits from their share of YES and NESN but have only received 85 million or so in revenue from them which is well below recent market rates. A well done piece Dave. I too find baseball economics of interest, perhaps because of it’s idiosyncratic elements. I once interviewed Milton Friedman who won the Nobel Prize for Economics (and the most intelligent human being I have know in 77 years of riding the planet). He was a big baseball fan and used metaphors derived from the game to help explain some points he was trying to communicate. This was in pre-metric analysis days, I would love to have discussed some of them with him. I’d have bought a ticket to that. There’s actually another market: trade plus extension. The Red Sox in particular have acquired a number of players this way, including Pedro Martinez, Curt Schilling, Josh Beckett, and Adrian Gonzalez – largely, I think, to avoid bidding wars with the Yankees (which they’ve never won). The Rays and others have been repeated sellers in this market. These tend to be expensive acquisitions, I believe, taking into account both top prospects (usually) and market-rate contracts, but they give the team more control of the outcome.